Kunsan Aigesi plastic mould co.,ltd was established in 2017 and its predecessor was Shanghai weiyu plastic mould co., LTD., which was established in 2008, we are a professional enterprise dedicating to the design, manufacturing of plastic moulds, and processing of injection mould products.At the same time our company undertake the processing of jigs, fixtures, precision CNC machine parts, and other orders from clients. 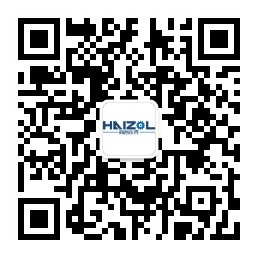 Since the establishment of the company, engaged in mold development scope involved: medical equipments, small appliances, stationery,cosmetics,stroller,motorcycles,electric cars,auto parts,power tools plastic parts,communications equipment,plastic peg and hanger,construction equipment and other products. Our company has brought in precision equipments VM1060CNC to support the precision processing of mould. With the advanced software, we achieved the realization of the best design,manufacturing,processing of moulds. And we have accumulated rich experience.Our company owns five precision computer controlled 60T to 250T injection molding machines and other advanced testing equipments. Except for the emphasis on the advanced manufacturing hardware, paid more attention to introducing high-tech telents. At present, we have a group of experienced, skilled technicians and highly educated high-quality professional designers. With the complete management system and operation regulations, we strictly control every section to make sure the quality of our products. Though our company doesn't have a long history, we have established long-term partnership with our clients because of our market-oriented strategy, scientific management, high-quality of the products and good reputation. We provide long-term OEM service. Our products have been exported to Japan, America, Europe and other countries. We treasure credibility and stick to the philosophy of people-oriented. We do our best to satisfy our clients and thus have won our clients' trust.We are the best partner, may our cooperation brings us a magnificent future.